A born and raised New Yorker, Emily Rose is a alternative pop music-artist about to release her debut EP HEART co-produced by Bob Cutarella and Fran Cathcart, this coming fall. She is a singer-songwriter, multi-instrumentalist and producer of her music, which all began when she was fourteen years old. The first single on the EP 'No Longer Lonely' will be released this JUNE 2019. 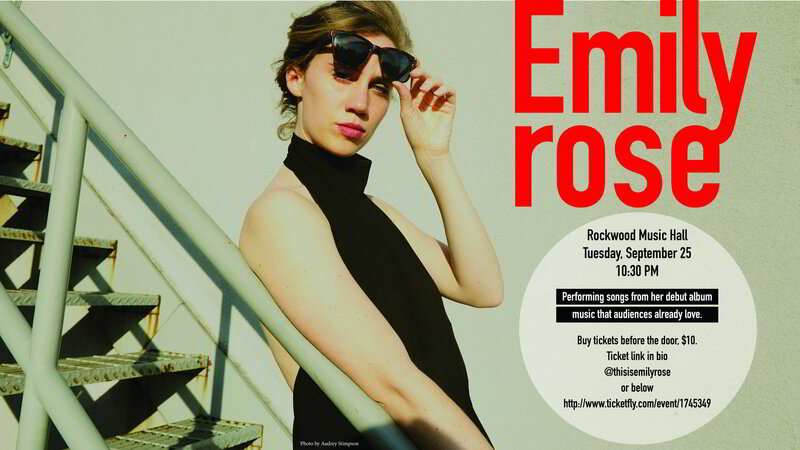 Emily is currently performing across NY, featuring all songs from upcoming EP and full-length album ahead. Recently having several sold out shows at Rockwood Music Hall , performing at The Groove, and a private show at the WITS Gala, she's ecstatic to share her music with audiences. Look out for her single releasing this June 2019! Until then watch her musical life on instagram @thisisemilyrose.